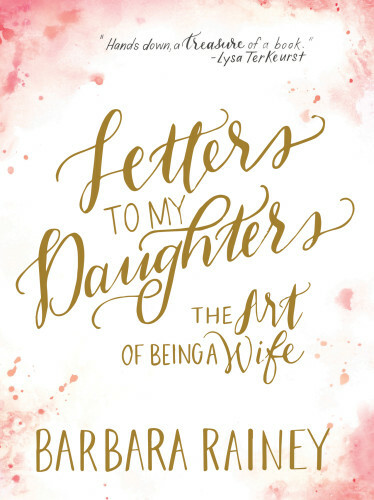 Best selling author Barbara Rainey knows firsthand the challenges newly married couples face. Dismayed by Hollywood depictions of marriage and the seemingly easy solution of divorce, she sees a desperate need for a voice of experience, a mentor who has been there and understand—and can encourage, coach, and care. As her daughters began their married lives, Barbara wanted to share with them, and now you, some of the lessons learned throughout her own marriage and those gleaned from years of ministry to couples. In these heartfelt, insightful letters, she answers the tough questions and addresses the realities of marriage. Through personal stories—including her own mistakes—and practical advice, Barbara provides the tools and direction to help you become a godly wife and determine your part in achieving a better marriage. But don’t do it alone!